Depth Training is a fitness centre & rehab clinic focused on helping you achieve your personal goals. Whether you’re trying to get to the next level athletically, get in the best shape of your life, or recover from an injury, we have a program or treatment approach designed for you. Train for your sport, your body, and with a PURPOSE. Committed to help you achieve your personal health & fitness goals! Quality high performance physiotherapy, chiropractic & massage therapy. Developing hockey players is WHAT we DO at DEPTH Training. We provide high performance off-season training programs for hockey players of all ages and skill levels. Experience DEPTH Fitness for One Month. No Commitments! Strength & Conditioning Jobs + Internships Available! Grow your Strength & Conditioning career or gain valuable experience through our internship programs. 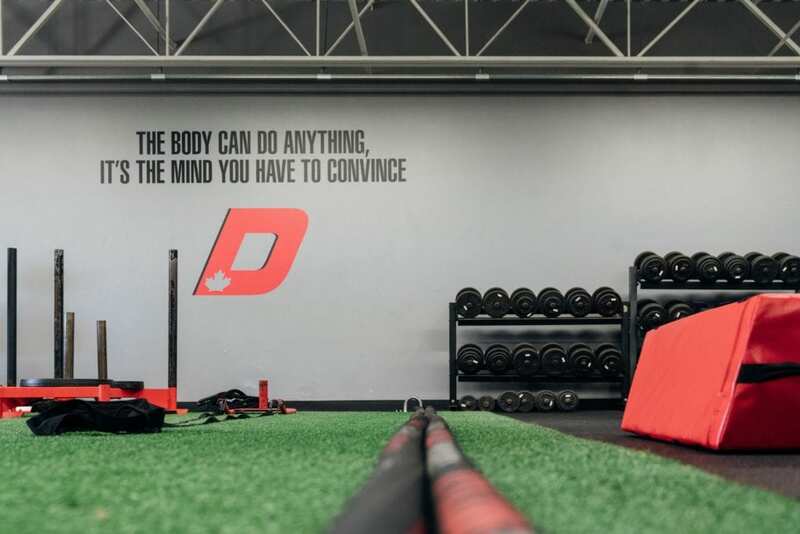 Depth has off-ice strength and conditioning programs as well as on-ice camps available to help hockey players get ready for their spring tryouts. TRAIN TO PERFORM. TRAIN TO COMPETE. The successful candidate will play a lead role in Depth’s Athlete High Performance Training Program and Depth’s Team Training Programs during the afternoon and evenings. We are looking for an experienced coach who is interested in working within a multidisciplinary team to provide the highest level of programming and coaching possible for our Depth Athletes. Please email your resume and cover letter to justin@depthtraining.ca to apply. The successful candidates will play a support role among our Depth coaching staff and inter-professional team in Depth’s Athlete High Performance Training Program and Team Training Program during the afternoons and evenings. We are looking for someone with an exercise background and a strong passion for coaching athletes at the elementary, middle and high-school age groups. As an Assistant Strength and Performance Coach you will be responsible for assisting Depth’s lead coaches with high school athlete training, as well as playing a lead role with Depth’s elementary and middle school athletes. There will be some program writing under the guidance of Depth’s lead coaches. Are you a current University, College or High-School student who is interested in a career as a Strength and Conditioning Coach with a strong passion for helping others and want to be part of the Depth Training Team? We are now accepting applications for our Depth Athletics Fall-Winter Internship Program. Depth Training will be looking for a maximum of 6 students who will complete 4-6 hours of volunteer work each week. Students will volunteer between the hours of 4 to 9pm Monday to Thursday; 4 to 7pm Fridays and/or 8am-1pm Saturdays (each student’s 4-6 hours will be selected from those times and does not mean students will work the entire duration of each shift listed above). Please note there are also morning volunteer hours available with our Victus Academy program for students who are enrolled in University. Students will be scheduled to volunteer 1-2 days per week based on their availability. Assisting Depth Strength and Performance Coaches on the training floor during athlete training hours. Set-up and removal of training equipment. Coaching of basic training technique after observing demonstrations from a Depth Strength and Performance Coach. Monitor and record training loads as requested. Observe Depth Coaches working with athletes in a high paced, high energy atmosphere. This program is for both male and female hockey players who want to continue working during the season to maximize their on-ice performance, stay healthy and keep getting better as the season progresses so they are peaking come playoff time. This program has specific options available for players at each development level from Major Bantam to Junior Hockey. The objective of this program is to help players continue to develop the physical qualities of speed, strength, power and stamina required to compete at the highest level possible and prepare them for the next level of their sport. Progress is not just for the off-season. Individualized in-season training program specific to your age, training experience, gender, injury history and training goals. Combine this program with our Athlete Performance Therapy Assessment. Baseline performance testing and body composition analysis completed at the beginning and end of each month to help you monitor training progress. Athletes are COACHED by our Depth Training Athlete Coaches (1 Coach: 6 Athletes maximum ratio) through their Individual Training Program to ensure proper understanding and technical execution of each exercise. These are NOT group training sessions, the athletes program is designed to get results specific to each athlete. Athlete In-Season Mental Performance Guide. Depth Athlete Sports Supplement discount. This program operates on a monthly membership and is priced based on training frequency. This program is designed to get you specific results in a set period of time so we can work towards your training goals. We monitor results regularly to maximize your progress each month. If you miss one of your sessions in a week we will allow you to make that session up in a following week. Our goal with this program is to ensure the athlete is training CONSISTENTLY for best results. Regularly missing sessions will not provide the best results. Our program options are designed to work with your sports schedule so training maximizes sport performance whether in-season or during the off-season. Training sessions are generally 60 minutes in duration. Complete an Athlete Performance Therapy Assessment to help rehabilitate former injuries, reduce the risk of future injuries and maximize your performance potential. As the competition level of soccer continues to increase in Canada, the importance of soccer specific strength and conditioning can take your game to the NEXT LEVEL. As the competition level of baseball continues to increase in Canada, the importance of baseball specific strength and conditioning can take your game to the NEXT LEVEL. Prepare for success with Depth Training’s Off-Season Soccer Strength and Conditioning Program. This program is designed specifically for soccer players who want to maximize their performance on the pitch by improving their strength, speed and stamina off the pitch this winter. In this program, we get results. The program is directed by Neil Martin, former Varsity Captain for the University of Waterloo Warriors Men’s Soccer Club. It provides players with everything needed to improve their athletic potential for the sport of soccer by assessing their current physical ability, implementing and executing a performance training program specific to their needs and monitoring their results under the guidance and supervision of our Athlete Strength and Performance Coaches at Depth. Prepare for success with Depth Training’s Off-Season Baseball Strength and Conditioning Program. This program is designed specifically for baseball players who want to maximize their performance on the field this season by improving their speed, strength and power this winter. Bruce Yari Testimonial – Coming Soon! Austin Shields Testimonial – Coming Soon! DEPTH is not your typical gym. 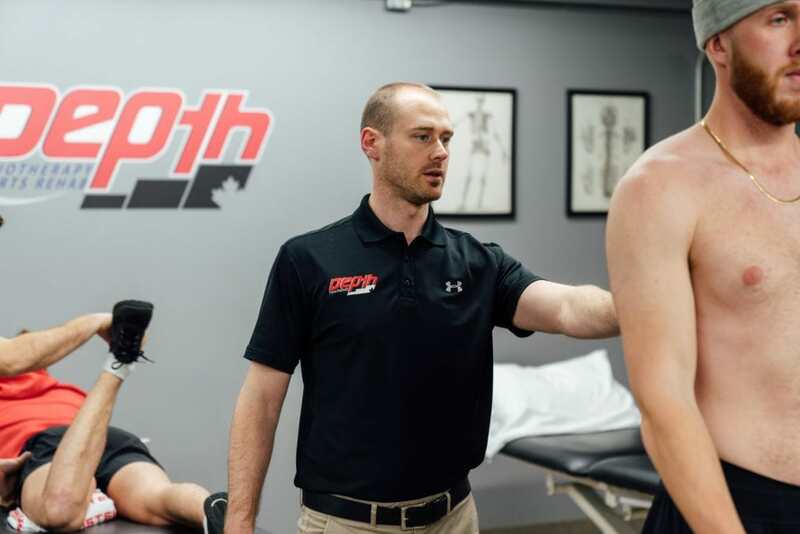 It’s a family of dedicated members, athletes, and rehab clients lead by our skilled team of trainers, coaches, physiotherapists, chiropractors, and massage therapists. Together we create a facility of excellence offering you the full fitness & rehabilitation experience. If you’re looking to feel, look, and/or perform better than ever, we can help.